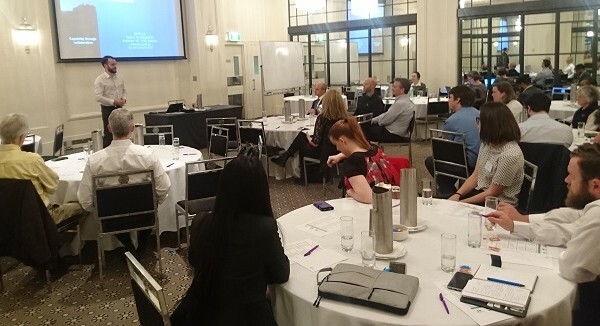 DMTC hosted another successful Student Conference in Melbourne on 9 October. Our annual student conference is conducted in partnership with the Research Training Centre for Naval Design and Manufacturing (RTCNDM) and the Defence Science Institute. The focus of the Conference is to give PhD and Masters candidates the opportunity to professionally present on the progress and conclusions of their research work to their peers and to continue to develop their presentation and communication skills. Students came from across Australia to present their work and talk research with the next generation of R&D scientists and engineers. Students presented to representatives from industry and Defence. Students coming to the end of their PhD study were encouraged to consider that milestone as only the “end of the beginning” in relation to advancing in their research careers in the defence sector.